The payments landscape has evolved by leaps and bounds over the past decade. Amid the rise of efficient mobile payments, growing e-commerce, and new technological regulations, the payments function has quickly risen in prominence to become a key competitive advantage in all businesses. Now serving as a mission-critical unit, the payments function has moved away from its roots in operational management, to an active player in strategy and revenue growth. Emboldened and validated by giants like Inditex, who prioritise payment initiatives such as Apple Pay to drive growth and improve the customer experience, payments managers are taking on greater roles within their organisations. However, with new developments in payments methods (for instance, QR code-based payments) and intensified regulation (for example PSD2, Strong Customer Authentication and eKYC), the ever-changing payments landscape can also be a relentlessly challenging environment to operate in. Much like the Darwinian adage ‘survival of the fittest,’ Payments Managers must be able to adapt to a dynamic environment and respond to any changes, or risk being driven into extinction. Without innovative technologies and an agile payments infrastructure, Payments Managers cannot overcome regulatory hurdles or generate revenue. Much to Darwin’s theory of natural selection, it’s not those with the strongest genes who endure, but the ones prone to adapt. With the payments landscape changing constantly due to customer trends and technology, Payments Managers must embrace change in order to succeed. As the payments function takes on a more strategic role, the Payments Manager is being recognised as a key leadership figure responsible for achieving their organisation’s growth objectives. While successful businesses will undoubtedly require highly skilled teams of payment experts to support this core function, they will also need to facilitate departmental interconnectivity and cross-collaboration. With the payments function supporting a growing number of units along the value chain – such as finance, operations, and customer service – it is critical to include all stakeholders involved in decision-making processes. In the changing payments environment, this allows various units to quickly respond to new business demands by collaborating on underdeveloped – and in some cases, previously non-existent – areas of the business; ultimately helping the organisation to stay agile and succeed. Furthermore, this helps core teams align their priorities and work to achieve a common goal. This does not extend to just internal collaboration, however. In today’s connected world, digital businesses cannot sleep – at any point in time, a customer will be browsing a web-page or app, and will need to make a payment. The failure to facilitate the transaction and accept the payment will result in not only lost revenue, but a lost customer; making flawless 24/7 operations a necessity. To prevent these scenarios, payment managers must partner with a single payments provider who can offer multiple payment routes. This ensures the business maximises their acceptance rates during network failures, and – by extension – their sales conversion, customer satisfaction, and revenue. With new mobile payment methods rising in popularity, the risk of digital fraud is only increasing. Keeping customers safe and protecting them from fraud while they shop is therefore a key priority. This is reflected in recently-introduced regulations such as the PSD2, which requires stringent security measures in multiple forms: strong customer authentication (SCA), marketplace licensing, account verification, and more. These regulatory frameworks are constantly changing to keep up with the innovative fintech industry. Furthermore, as various consumer markets across the globe differ in their payment methods, multiple transaction flows can cause confusion and increase the risk of compliance failures. Such obstacles have left business floundering to find a solution that not only satisfies the latest regulations, but also helps them meet the varying demands of multiple customer segments. QR code-based payments, for example, are highly efficient and have quickly become an integral facet of Chinese shoppers’ lifestyles. To capitalise on these growing markets, businesses must be able to quickly adapt to their customers’ unique needs and provide every market with the best experience possible – this means embracing their preferred payment methods. Without engaging with customers in this way, organisations cannot continue to drive growth, and run the risk of obsolescence. To compete in the evolving payments landscape, Payments Managers must arm themselves with the tools to build an agile payments infrastructure and be free to innovate with new payments solutions. This calls for a payments provider who can help businesses break free from legacy payments infrastructures, and integrate modern payments technologies to meet new business needs. Through strong, inter-departmental collaboration and open relationships with trusted payments providers, businesses can rapidly integrate and deploy the latest technologies. 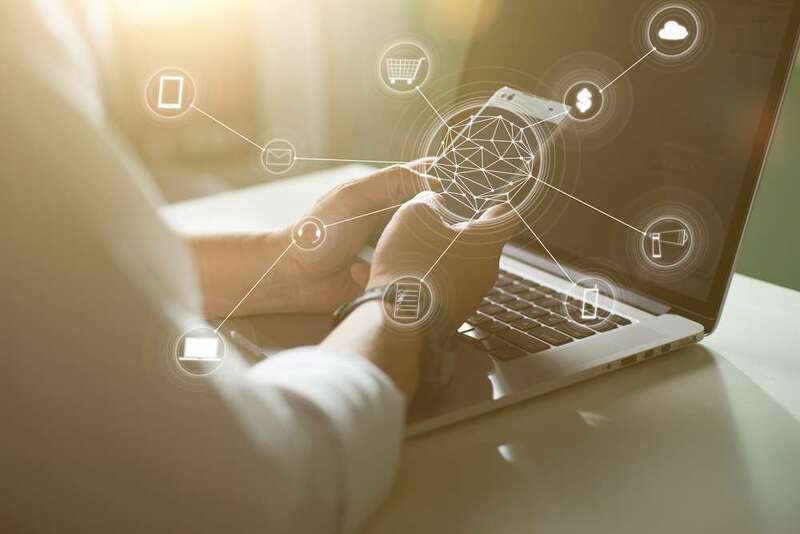 To stay competitive, businesses must dare to demand more from their payments technology, and use it as a stepping stone to achieve their objectives and drive growth. More importantly, however, it can help them build strong customer relationships – by understanding their behaviour and recognising the variations in payments preferences, businesses can optimise their shopping channels to deliver the ideal customer experience. With the trend of mobile payments showing no signs of abating, it is clear that businesses must adapt to this changing landscape. Key decision-makers involved in the payment process must not only ensure that the payments function is seamlessly integrated with the rest of the business, but also partner with the right payments provider to help them quickly respond to any changes that arise; including new payment technologies, stringent regulations, and varying consumer behaviours. The survival of their growth is at stake!